What’s new with Pi 3? Onboard WiFi/Bluetooth, a new 64-bit quadcore processor, and 50% more processing power. 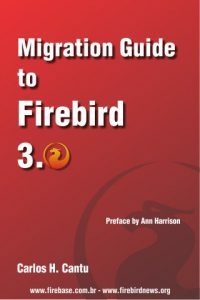 FDB Python driver for Firebird v1.5.1 is available for download. New connect() parameters: no_gc, no_db_triggers and no_linger. Direct support for with statement (PEP8) in Connection class. Lazarus 1.6 has been released. This is the first release which uses FPC 3.0. There are also versions for other DBMS (MySQL, PostgreSQL, SQLite, Oracle, etc). Read full press-release.